The end of The Lady Whaler’s 2018-2019 season was nothing short of bittersweet. The bonds the girls made were undeniable, and their skill never went unnoticed. With the guidance and support of head coach Kevin Barron and assistant coaches George and Woody Kneeland, the girls continuously thrived on the court and as a team. The incredible chemistry between the team only contributed to their numerous victories and allowed each game to be ripe with an energy like no other. 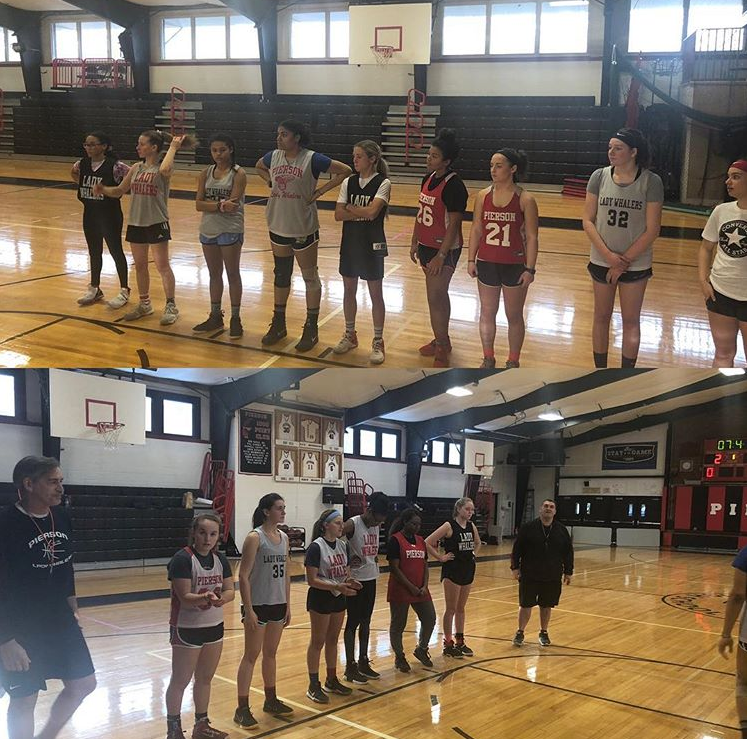 The girls shared their last moments of the season on the court on March 9th in New Paltz, New York. This game, being their ticket to states, was a very high pressured one. They worked hard and had the support of a substantial Pierson audience, but the ladies just couldn’t pull through. The loss was emotional, but despite the tears, the ladies, as always, put up a fight. Aside from the great success as a team, the season also brought individual achievements to certain players, including senior Katie Kneeland, making her 1000 point shot at the Class BCD championship, a goal of hers since she started her varsity career in 8th grade. It was moments like these that showed what these girls are truly capable of. The last few games played by the ladies only brought them closer, their drive and consistent determination never going astray. Although this season brought many goodbyes, including to head coach Kevin Barron, it is only the beginning for some. The Lady Whalers are a team full of young talent, with a future of success and more titles on the horizon.